Brazilian health authorities have taken the lead in the fight against dengue fever not with vaccines but rather with mosquitoes. At the start of this week they expanded their program and opened a large-scale mosquito farm in the northeast state of Bahia. 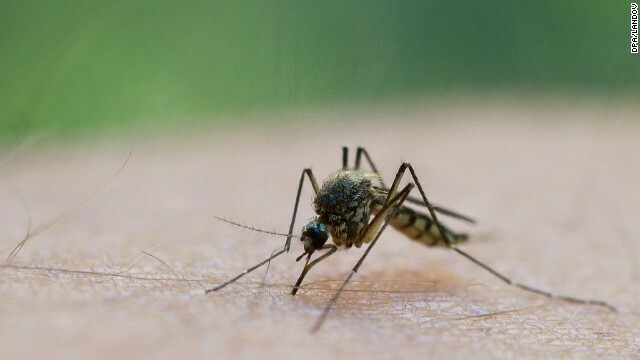 Now, these are not the garden-variety mosquitoes, they are an army of genetically modified male mosquitoes being used to combat, rather than spread, disease. In the laboratory, male mosquitoes are genetically modified to carry a lethal gene against the dengue virus. They are then released into the wild to mate with female mosquitoes (who are actually the ones who bite humans – since they need the blood for their eggs) and once the lethal gene is passed on to the offspring they die in the larvae stage and never make it to adulthood. The target is dengue fever, for which there currently is no vaccine, and prevention largely has failed. The World Health Organization classifies dengue as a mosquito-borne viral infection that causes a severe flu-like illness and sometimes a potentially lethal complication called hemorrhagic dengue. Though data from the U.S. Centers for Disease Control and Prevention report transmission in the continental United States is mostly due to travel to sub-tropical and tropical areas in the world, data from WHO indicate the incidence of dengue has increased 30 fold over the last 50 years. According to the latest World Health Organization statistics 50 million to 100 million infections are now estimated to occur annually in over 100 endemic countries, putting almost half of the world’s population at risk. In Brazil this year alone, the health ministry recorded 431,194 infections, with Rio de Janeiro leading in the number of cases. While the government of Brazil has attempted many other campaigns against the mosquitoes, Brazilian Health Minister Alexandre Padilha insists this new effort could be the answer to controlling the dengue epidemic in the country. The farm in Bahia is a partnership between the Brazilian government and Moscamed, an agency that specializes in the production of transgenic insects for the biological control of pests. It uses research and methods developed by several Brazilian universities as well as by British company Oxitec. It will produce at maximum capacity around 4 million sterile males of the dengue-carrying mosquito Aedes Aegyptis per week. Moscamed’s fact sheet on the project claims that since its beginning in February 2011 it has released more than 10 million male transgenics. This month over 95% of the larvae found in the two neighborhoods that served as test communities are already transgenic, or genetically modified to not reach adulthood, the agency says. “Despite the grave and growing public concerns that have been raised about the genetically engineered mosquitoes, there is no indication that the U.S. Food & Drug Administration or any other federal or state agency has evaluated the safety of the company’s planned release. Nor has there been an independent analysis to examine the public health or environmental impacts of this release,” the letter said. In Brazil, Moscamed held talks with locals before the trial started. The agency also printed fliers explaining the process and sent representatives to schools to talk to the children. Dengue is a well-known fact in Brazil and so are the campaigns against it. Social media, television, day-to-day talk and such are dominated by anti-dengue slogans and campaigns launched by the government. Scientists in Brazil are largely overseen by multiple government ministries and committees and, according to local media, residents in the areas were the trials are held are accustomed to the sights. Most of the interest comes from scientists and researchers worldwide who flock to Moscamed to learn about the benefits of the program. According to a release by the state of Bahia, the project, paid for with funds from the state and federal government, cost about $1.6 million, and aims to control disease transmission. The state and federal governments also spend millions of dollars each year in campaigns to educate residents and to slow the procreation of mosquitoes. Brazilian researchers also work with the French Pasteur Institute in the development and trial of a vaccine against the virus. "We will work to bring this technology to municipalities with higher levels of infestation, such as Jacobina and Itabuna, where it will be possible to analyze also in appropriate circumstances. Remember that we are still in research stage and are not routinely using the technique," said the state health secretary, Jorge Solla, in a press release announcing the new facility. After the testing phase, Solla says the project will be expanded. Oxitec is also conducting testing in other countries. Its strand of the OX513A mosquito has regulatory approvals for import and contained (in lab) testing in Brazil, the Cayman Islands, France, India, Malaysia, Singapore, Thailand, the United States and Vietnam. Open field trials have taken place in both Grand Cayman and Malaysia, in a small scale. Though all this may seem like a scene straight out of a science fiction movie, these genetically modified mosquitoes provide a window of hope for millions of people. The Brazilian health minister, Alexandre Padilha, said during the inauguration of the new facility that the Brazilian government will keep a close eye in this project, as well as the continued research into other avenues, and could use it as one more weapon in the fight against the disease. This article isn't particularly accurate. "Male mosquitoes are genetically modified to carry a lethal gene against the dengue virus" is just nonsense. The only lethal gene they carry is against themselves and their offspring. Nor are they sterile – if they were, they would hardly be spawning larvae that die before maturing, would they? It's pathetic to write so much, and not even figure out the basics of the story you're reporting. At least the person who wrote this article understands what's going on better than the environmentalists do. And anyone who reads the article should theoretically be granted a better understanding of the mosquito than environmentalists have. It's a mosquito designed to make larva that die. But environmentalists can only think of the movie Mimic and get all afraid that it's gonna spawn mutant mosquitoes or something. Let's join fight to eliminate this flying arthropod from this planet. World Mosquito Day (august 20) should sent this message globally. I'm very confused– first, the article states that the genetically modified mosquitoes carry a gene lethal against dengue fever which they will pass to their offspring. Later, it states that the gene is lethal to the offspring themselves, and still later it states that the mosquitoes are sterile. Which is it? I agree, this was a very confusing article. Instead of spending millions of dollars on a genetically engineered organism that could potentially have devastating effects on the environment– why don't they spend the money on getting rid of the wastelands of used tires that are actually mosquito breeding grounds and the cause of the surge in mosquito population in Brazil? This is another case of money hungry companies trying to force a product down our throats. This is about companies prioritizing short term gain and turning a blind eye to potential long term consequences that we will eventually pay for. I don't believe you understand how Aedes Aegypt multiple . It rains alot in Brazil and anywhere a puddle forms there you will have mosquito larvae. Anywhere not only wasteland. Hell I live in a close gated community and we are far as far away as possible from a wasteland but we have lakes so guess who had dengue? Me! "Mosquitoes help kill millions of humans a year. Environmentalists like that." Hemorragic fever is a terrible thing and separating the disease from the carrier would be awesome. But exterminating an insect population is not the same thing. It also creates a vacuum in the environment for another maybe not so harmonious creature to pickup. That article does not deirbsce transparency it is pure marketing. Making an emotional case to identify evocative gains with amounts of money one hopes an audience will thus find inconsequential. Many audiences respond to such marketing, and it may be effective as a result. However, I'm not sure it directly opposes transparency, except when wayward websites label it as such. Marketing (even in that form) done ethically, backed by sufficient information, could achieve both goals.Marketing has an audience, and can only be evaluated in terms of its audience. Emotional marketing on TV isn't intended to sell to venture capitalists, and a business proposal to a VC isn't intended to communicate well to a television audience. Perhaps one approach can be compatible with the other? Your take on the article vastly differs from that of others. The marketing POV is very far from mind. Thank-you Robb, this looks like a very effective way to combat mosquitos. And being so simple to build anyone (at least most people) could do it. The article is confusing-first stating that the males are " genetically modified to carry a lethal gene against the dengue virus." But then it describes how the gene is lethal to the immature mosquito itself, not to the dengue virus. Exactly what I was thinking. This will cause the lethal gene to die out in one generation. Why make a gene that's lethal to the VIRUS if it only kills the method of transmission? There will still be mosquitos in the wild, as some females will make with wild, un-modified males. I just worry about the unintended consequences. Nobody likes mosquitoes, except for the creatures that eat a lot of them. How will this affect the bird and bat populations? If I'm reading right, this won't affect mosquito populations at all. The modification kills the dengue fever the mosquitoes carry, not the mosquitoes themselves. I hope this works. If it does, maybe a similar approach could work with malaria. This article got it wrong - there's a long piece in the New Yorker this month that explains it better. The mosquitos have a gene that makes them die in a few days if they can't have access to a chemical they get in the lab (tetracyclene). The males pass this kill switch gene onto their offspring so that when they mate, they produce mosquitos that die quickly and never get to breed. It's about mosquito population control rather than actually going after the virus. I'm just gonna copy-paste this to your comment as well. Who cares about the bird and bat populations. If it saves human lives, I don't give a damn about the birds and the bats. United Staets??? where is that?? (in lab) testing in Brazil, the Cayman Islands, France, India, Malaysia, Singapore, Thailand, the United Staets and Vietnam. Nice catch! We've fixed it. Thanks for reading! Surprisingly, the dumb idea here is that "genetically modified" means Godzlilla. "It's just scary and I don't even have to understand it! It means mosquitoes will suddenly evolve into ... I don't know ... like ... I don't know. But something scary! Something that could wipe out life as we know it!" This is America's ignorance of science coming back to bite it. If the lethal mutation failed somehow, what would you have? Mosquitoes! Oh noes! Or what, you think mutation doesn't happen unless Dr Frankenstein makes it happen? "Nature never would have come up with that on its own". I don't even need to understand this, to understand that it's scary. Cause I've seen a lot of movies. No, what's scary is dying of Dengue, and coating the world with semi-effective pesticides. People are sure that they've heard some kind of story, somewhere, about the unintended consequences of genetically modified something or others, but what they're really referring back to is myxomatosis in Australia, and zebra mussels in the great lakes, and pythons in the everglades, and Peregrines and DDT. Scary stories about ecosystems that they didn't really pay attention to, just got a little fear-and-satisfaction bump and stuck in the mental folder with Jeff Goldblum turning into a fly. Rob that is rather inventive. Have you thought about including a blue light to attract the insect. Females mosquitoes aren't attracted to any colour of light. They're attracted to CO2 gas, which we exhale in our breath. That's why electronic bugzappers do NOT work on mosquitoes, in the event you were unaware of the fact.